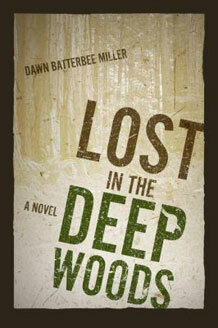 Lost in the Deep Woods Now Available on Amazon! Hannah McLean races through the deep woods to meet her brother Seth. What is he hiding? Why doesn’t he want to be seen? What bleak history is clouding his life? Then before Hannah can discover his dark deed, he’s on the run again. When a stranger comes to town, Hannah rejects his intrusion and attentiveness. Is he looking for Seth? Why won’t he just go away and leave her and her family alone? Meanwhile, Seth drifts through the great forest and the logging camps of northern Michigan, trying to outrun his past. His fear and desolation drive him deeper and deeper into the remote timberland, while his loved ones try desperately to find him and save him from himself. Will Seth be on the run forever, or will the truth eventually catch up with him? 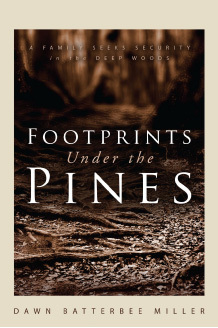 Footprints Under the Pines - Steeped in true accounts of life in a lumber camp and the local lore of the lumberjack at her grandfather's knee, Dawn Miller has infused Footprints under the Pines with rich detail and authenticity. This is no tall tale of Paul Bunyan. If you would like a personalized message along with the signature, write your choice of message in a separate email to dawn at dawncreations.net included with your name, address and order number. Buy Now for Kindle $3.99! 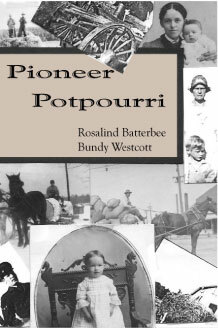 Pioneer Potpourri - Second Edition NOW AVAILABLE! A collection of true stories told by the hearty midwest families that lived through them when life was hard and living was even harder. NOW AVAILABLE in Kindle format click here.